Organic, fast-maturing "greens" boasting beautiful, savoyed, dark red leaves with light green undersides. Giant Red Japanese mustards make bold, versatile ornamental edibles. Upright, large rosettes up to 18" tall, are very colorful, with deep red purplish savoy leaves edged and veined pale green. Easy to grow in spring, fall and winter gardens, these grow well mixed with flowers, herbs and other vegetables. The unique spicy flavor adds zest to a variety of dishes. Picked young, it makes delightful garnishes and spices up mesclun mixes. Excellent braised or steamed, in salads or stir-fries. Use like spinach or chard. Harvest whole heads or pick individual leaves. Mustard, Red Giant Organic is rated 4.8 out of 5 by 5. Rated 4 out of 5 by Texas Al from So far so good First time planting this spring. Every seed popped, so that is a great start. I guess the rest is on me. 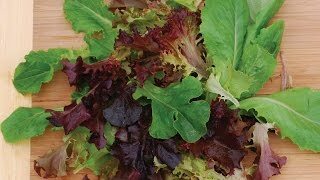 Rated 5 out of 5 by TPG1 from Grows again and again These mustard greens kept growing for months. The only reason they died was we had a freeze in the teens, not usual for our area, and we lost all our greens and lettuce in one night. We have never seen red mustard greens - they are delicious. Rated 5 out of 5 by deangarden from Giant Red Mustard I have purchased this mustard several years and like it very much. 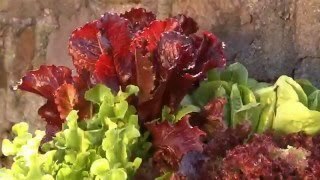 Both large and small leaves taste delicious added to salad, it self seeds in successive years, and finches are attracted to the seed heads in a charming way. Rated 5 out of 5 by littlefarmer from Mustard Great producer! Excellent taste. Rated 5 out of 5 by TomatoCrazy from Beautiful! Grew quickly and was beautiful. This was the first time ever growing mustard greens so I don't have anything to compare to. I will definitely be growing again.